Business credit is something that more and more small businesses in the Charlotte Nc area are turning to. With an economy that is making room for smaller companies to grow. Charlotte is becoming a commercial haven for businesses that want to expand. "The Improve credit and finance Show" is talking about this and many more important subjects on today's show. Listen up and listen in to 103.3Fm radio at 1pm-1:30pm. 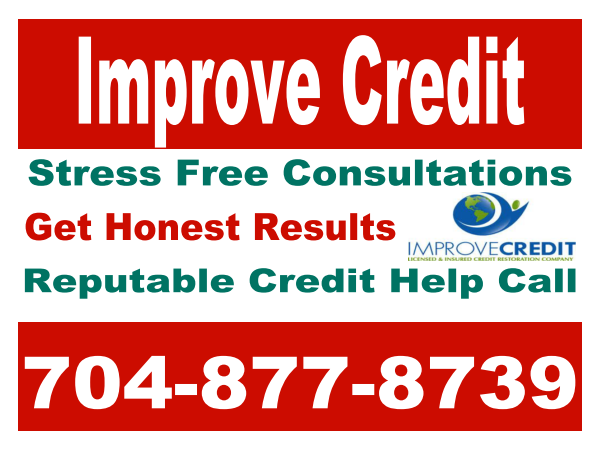 Our business phone number is 704-877-8739 where we help educate our customers increase and maintain good credit scores.